Il team Studio 397, con puntualità svizzera, pubblica il nuovo roadmap update del mese di febbraio relativo allo sviluppo del suo rFactor 2. 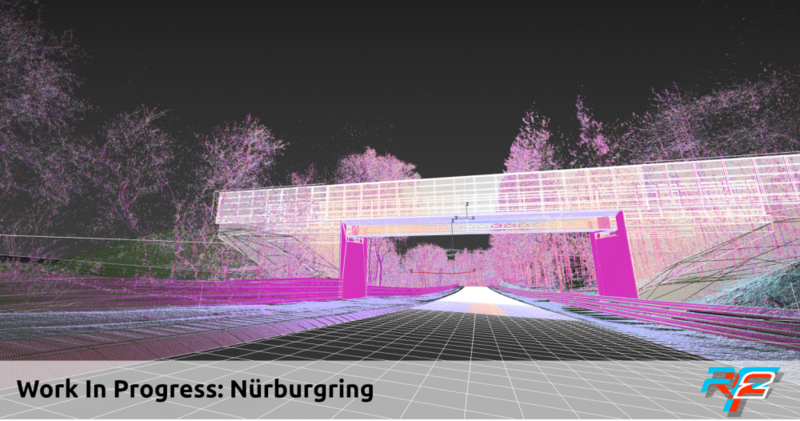 Le novità più interessanti riguardano lo sviluppo dell'attesissimo tracciato del Nürburgring, del quale ci vengono mostrate nuove immagini work in progress. Commenti sul forum dedicato. It’s the time of the year where the sun starts greeting us more often during the day. The first roar and rumble of the rare species of racecars can be heard close to racetracks all around Europe as everybody is waking up from their winter dreams. Everyone involved in motorsport is eagerly waiting for tracks to dry out, engines to fire up and for the sun to shine on their careers as they are encouraged by early test results. 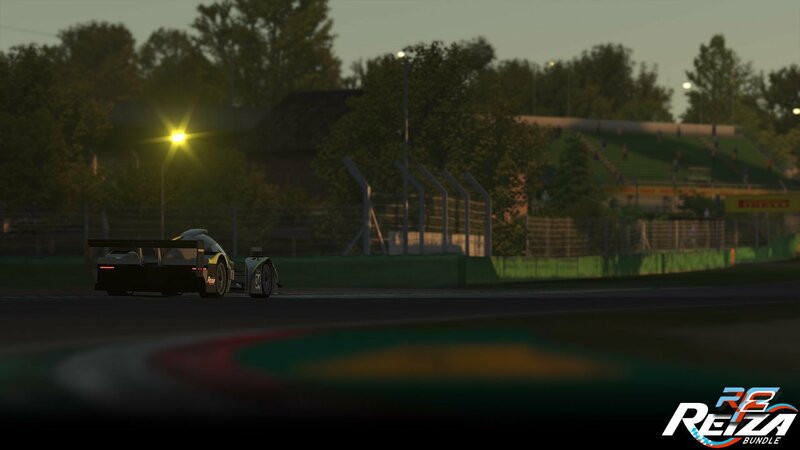 It´s not just heating up in Europe or in the hearts of motorsport enthusiasts, but also in our studio and offices, as slowly some of the newly developed features and content for our beloved rFactor 2 are starting to take shape. Last year at Simracing Expo many people already said that 2019 would be an exciting year for this simulation and yes, that will absolutely be the case! Over the last months we announced many cool things, but that´s not all of it for 2019. We won´t reveal everything just yet, though! Nevertheless, buckle up in your seats as February is coming to an end. And as the snow is melting on the northern hemisphere, the new roadmap appears! With the new PBR based system in place for car bodies, we are shifting attention to cockpits now. We are taking this opportunity to not just create better looking materials, but also to improve how reflections and shadows work in the cockpit. It’s still early days, but the first rough prototypes are looking promising. We are also finalizing the guidelines for modders, which is taking us a bit longer than expected, but we are committed to getting those out soon. In parallel we have also been working on a few more fixes to our GT cars as reported by various community members and we have optimized LODs on some cars that will help to make them look better as well as perform better at lower levels of detail, allowing you to use more visible cars on lower-end systems and still end up with a great looking image. Work continues as planned, with both integrating the competition system into the UI and also work in the backend. We are adding plugable standings, which will allow competitions to choose from a great variety of ways of scoring results. At the same time, as we are running more competitions internally, we are learning a lot and adding features to improve the stability and robustness of the whole system. March 23rd will see our first real endurance event, the 12 hours of Sebring. This race will feature several well-known names within the simracing community, such as YouTuber Jimmy Broadbent, Team Redline, Fernando Alonso Racing by Logitech G, McLaren Shadow and Williams eSports. These teams and others will also be racing along side our qualifiers from the prelude earlier in February. You still have a chance to race, make sure you enter our qualifier for this round! As one of the most prestigious races of the year, there will be a fantastic range of a prizes totalling over 5,000 euros!! More details are available on our forum. 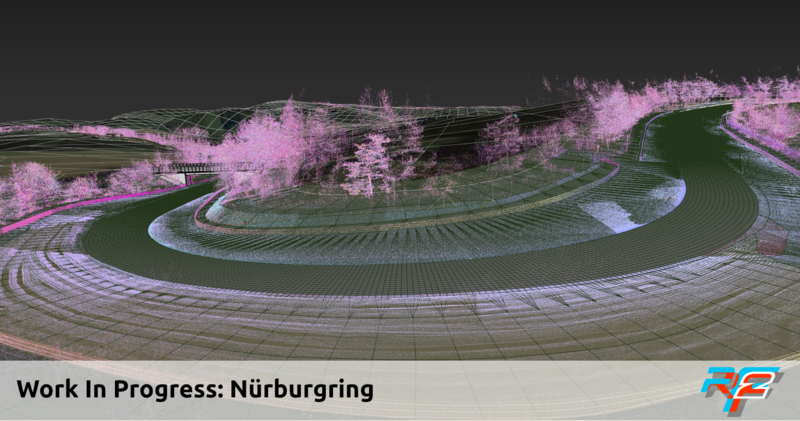 The Nürburgring is obviously a huge project and for the first couple of months in such projects we don’t have much visible progress as we transform all the data into a detailed and accurate road mesh and working our way outwards, to curbs, grass, barriers and terrain with track-side objects. 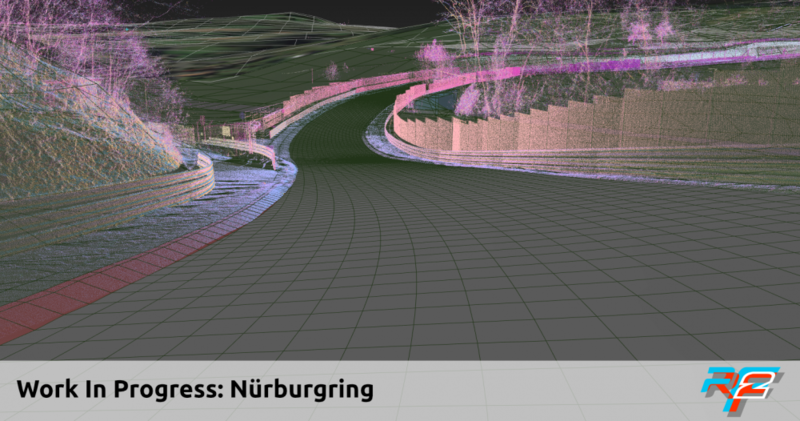 We’re now in the middle of modelling the curbs and we can share some of the early wireframes of parts of the track. 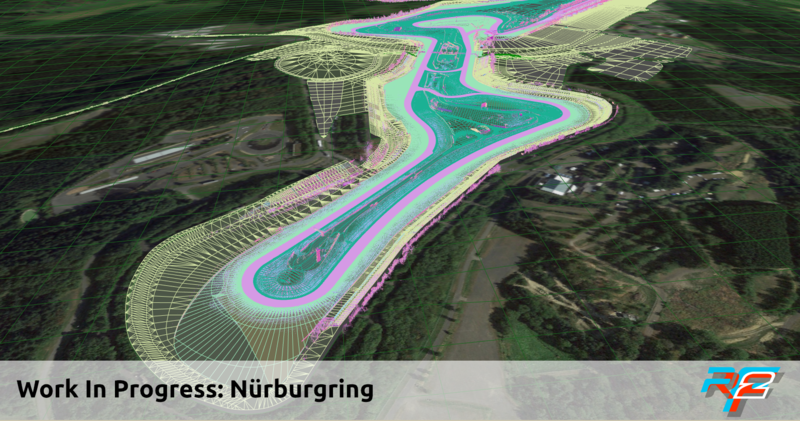 I’m sure most of you will instantly recognize these areas of the track. Both the Tatuus cars and Formula E Gen 2 are almost ready to release. For the latter we are currently implementing a more advanced brake-by-wire system that matches the system on the real car, leading to more accurate regeneration and rear brake temperatures. We are also testing the last big planned update of Zandvoort, where we focus on optimizations as well as add the latest buildings on and around the track. The Dutch are still hopeful that F1 will visit the track again in the future, and in the mean time our virtual version has the advantage that it can host many and loud race cars every day! That concludes the roadmap for the shortest month of the year. We hope to see all of you on track soon!